These fruits are an exception to the rule. Things that taste horrible are usually good for us, and vice versa. 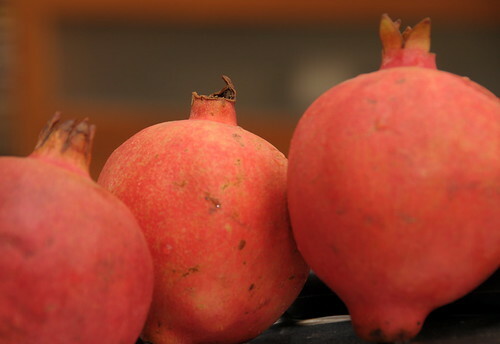 With pomegranates we’re lucky enough to have taste-buds, and health, on the same side. 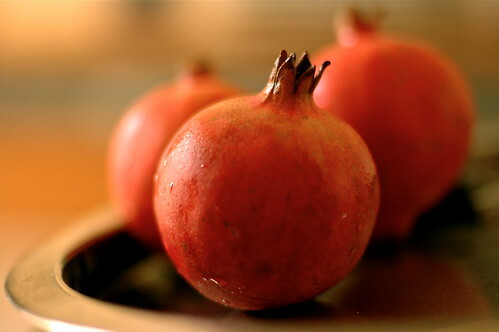 These are Indian pomegranates and they tasted heavenly. Buy some and enjoy. The inside didn’t look that appealing. The white membrane became dark red when I cut the fruit in half. The colour balance just didn’t work, and the contrast I was hoping for – with the red and white – simply disappeared. No complaints though, it just meant there was more flavour. My favorite fruit…hard to prepare it though. The first is a masterpiece!